I have a (thermal) solar hot water system with electric heating, and I'd like to be able to measure the amount of energy provided by just the solar heating. Water runs through glass tube panels on the roof, and heat is conducted back into water in the 250 litre hot water cylinder (HWC) through a coil in the cylinder. More details on the tubes are here. An electric element also exists in the HWC, but turns off once a particular temperature is reached. A control panel allows restriction of when the electric element is turned on by specified times of day, no matter what temperature the water is. When the water in the panel is at least 4 degrees C hotter than the water in the HWC, a pump turns on and circulates the water from the panels through the HWC and thus heats it. Initially, I tried to restrict the electric heating so that we could get the most efficiency from the solar heating, but I had a lot of trouble with running out of hot water sooner than expected. At the moment, the electric element is active all the time but switches off when the water reaches around 60 degrees, however the solar heating will continue heating well past that, though with what level of efficiency I don't know. I do have a power meter for our standard 3 pin sockets, but the HWC is directly wired into the wall despite only using about 2000W maximum, so I can't use the power meter to measure the electricity usage. Unplugging all the appliances in the house would allow me to measure electricity usage with the outdoor meter on the house, but if done for more than a short time food in our fridge may start to spoil! I can temporarily turn off the electric element in the HWC, but that may increase the efficiency of the solar heating to give an inaccurate result (and we need the electric element turned on at least some of the time to have enough hot water). What is a procedure to work through to determine how much heating we get from the solar panels? You measure the temperature of the water going in to the solar panel, and the temperature coming out, and the rate of flow through. The power produced is then a simple calculation of multiplying the specific heat capacity of water, by the rate of flow, by the difference between return and flow temperatures. The energy produced is the integral of power over time. Any other way will be full of assumptions and errors that will make the calculation very very unreliable. There are commercially available heat meters that do all of these things in one unit. The way you should track your energy choices in general is fairly simple: monitor your energy bills monthly, before and after making the change (in this case, before and after installing the solar hot water system). Energy utilities are often quite good at giving you detailed information on your bill. While this method is rough, and fails when you make multiple changes at once (e.g. add a baby at the same time that you add solar hot water), it also has the benefit of encompassing all losses in the system, which you will not get if you only monitor in situ at the panels. You could conduct a short experiment, and then extrapolate results to get your monthly, or yearly savings. The experiment might involve switching off all other electric devices in the house (I recommend doing so at the circuit breakers, not by unplugging appliances individually). Leave your hot water system to operate normally. With a simple thermometer, take some cold water from your tap to measure its temperature. Note the hot water setting at your house if you have a fixed setpoint (e.g. 60°C), or measure it again by drawing hot water from the tank's drain valve, or a nearby faucet. Now you have your ΔT (change in water temperature). Start with the hot water at equilibrium (after the tank temperature is stable ... not right after a shower, or running the clothes washer). Record the initial electricity reading at your home's meter. Have your family take your normal daily showers. Note the exact length of the showers, in seconds. Wait a few hours, or until you're sure that water tank temperature has recovered to the steady state value. You'll need to know the flow rate of your shower. It should be stamped on the shower head itself, but you may need to calibrate that number with a separate experiment: run the shower into a large bucket of known size and time how long it takes to fill. With this information, you can determine that total water consumed is equal to the total shower time in seconds, times the flow rate in liters per second. The total heat added to the water is the volume of water used, times ρ (1 kg/liter), times ΔT, times the heat capacity of water (1 calorie / gram / °C). The heat added by the solar system is approximately the total heat, minus the heat added by the electrical heater. You measured the electrical energy input, so heat input from the electric element will be that number, multiplied by the electric water heater's Energy Factor. If you don't want your food to start spoiling during the experiment, simply get one plug-in power meter to use with your refrigerator, so you can measure and subtract the fridge's energy from the meter reading. If you want to also run through a cycle with your clothes washer, or dish washer, then add them to the experiment. Again, use a plug-in meter on the appliance when it's being used, so you can separate that energy usage from what you read at the home's meter. If your dish washer has an option to provide water heat, which I don't tend to use, you might turn that off for the experiment. For a clothes washer, if it drains to a utility sink, you can stop the sink up, and monitor how many times it fills (opening the sink before it overflows, of course), to measure the water consumed during a hot cycle. I'm guessing you have a cold rinse, which you wouldn't want to measure for this test. Cycles that mix hot and cold might be harder to measure ... I'll have to get back to you on that. For the dish washer, you might just have to search for manufacturer's data on your model, to see how much hot water per cycle it uses. If you just perform this experiment once, it's obviously dependent on how sunny that day was. Repeating the experiment several times, during different seasons/conditions, can allow you to get an average result. You could also try to simply determine what the day's sunshine was like, relative to the average. If you have access to a Pyranometer, you can measure sunshine during the experiment, and compare it to other days (the other days can simply be to monitor sunshine, without the hot water tests). You can also lookup climate data for your location to determine how sunny your area is, month by month. With this information, you can determine that during your test, your output might be 10% above normal, or 25% below normal, and use that adjustment when you multiply by 30, or 365 to get monthly and yearly estimates. Remember that if you add activities like clothes or dish washing, that don't happen daily, you'll need to account for that when projecting for the full month, or year. Note: if you do the experiment, and feel that your hot water temperature is not constant (not recovering all the way between uses), then you can make the results more precise by measuring hot water temperature at each step (each shower, each wash cycle, etc.) and performing the calculation for each hot water consuming activity separately, with a different ΔT value. It sounds like EnergyNumbers is going to provide a more precise technique for measuring output (at the panels? ), so I'll leave my answer with just these rough measures for approximating the answer. For the majority of home users, I think this is more than sufficient to track your energy efficiency improvements. Take the temperature of water going into the tank. Let a hot water tap run after sundown when the solar panel is inactive and until the temperature is stable at intake. To measure this you'll have to buy one of those digital outdoor thermometers that have a sensor with a cable. Tape the sensor to the incoming water pipe. Put some insulation on top of the sensor extending a few inches along pipe and around it (to ensure the sensor measures the temperature of the outside wall of the pipe, which will essentially be the same as the water). Let the tap run and measure also the temperature of water coming out of tap until it stabilizes. Write down also the temperature inside the tank as indicated by the sensor you already have set up. Now write down the time and turn resistance on for one hour or whatever time it takes to rise the temperature of the water inside the tank by about 15 degrees celsius or so. Make sure nobody opens any tap, including cold water ones during the heating period. Then shut the resistance off and open the hot water tap. Note the highest temperature (at first the water will come out cold-warm as the pipes warm up). Then the water gradually gets hotter until a maximum and will start to drop again. Now repeat the process on a sunny day when the sun is at the highest point but this time make sure the resistance is always off. Wait the same time it took the resistance to rise the temperature and note the temperature inside the tank and the highest temperature coming out of the hot water tap (the incoming cold water temperature should have been the same in both cases but if it is not because somehow the cold water pipe that brings water to the tank somehow picks up daytime heat and the incominc temperature is higher than after sunset, do not worry, you just have to make a different calculation). Now there are two ways to estimate the power output of the solar unit and you should use both because they should match. Divide the time it took the solar unit to increase the temperature 15 degrees into the time it took the resistance. The result you multiply it by 2000, the result will be the wattage of the solar panel. The other calculation to verify is a bit more elaborate. The idea is to calculate the energy required to heat whatever kg of water the tank holds from the cold water temperature to the hot water temperatur, the result you divide it by the time, first the resistance time and then by the solar system time. This calculation must be made by someone who knows how to work with mass, energy and power units to also end up with watts for the resistance and the solar system. If the resistance is in the innards of the tank, as is normally the case the second set of calculations should confirm the first. You should now have a fairly good idea of the peak wattage your solar panel puts out on the type of sunny day you took the measurements. On less sunny days and off noon, power will be less. If you want to know how much less you will have to repeat the measurements for the panel. No need to measure again for the resistance. If you want to measure the average power of the solar panel it gets a bit more complicated but on a sunny day it will be the result of taking how many degrees the tank water temperature increases each sunny hour until noon. After noon the power will mirror before noon. Even if the temperature starts to drop later in the afternoon it does not mean the panel is not putting out power. It does, otherwise the cooling would be faster. I have not done these calculations on my panel but your question got me thinking and I will now. With a heat meter. If you need to calculate it for legal purposes it has to be a Class II heat meter (in UK). 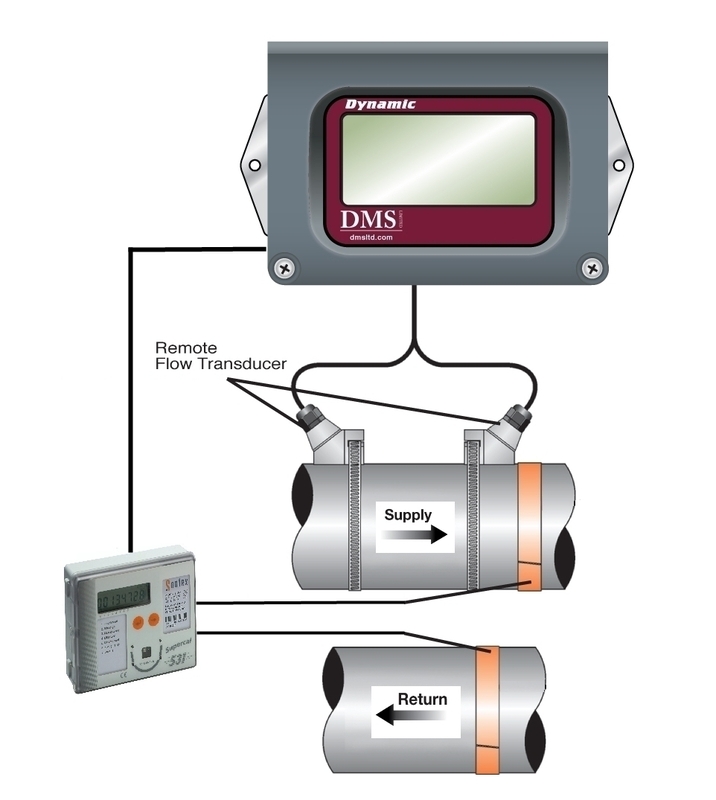 Essentially you need to measure the mass flow and the temperature difference between the fluid in the pipe going from the collector to the tank (hottest one) and the pipe going from the hot water tank to the collector (coldest one). Not the answer you're looking for? Browse other questions tagged energy-efficiency water-heating solar-thermal or ask your own question.